BRUSSELS (ANA/ M. Aroni) European Commissioner for Migration, Home Affairs and Citizenship Dimitris Avramopoulos on Thursday said the situation in Greece was sufficiently improved as to allow migrant transfers under the Dublin Treaty to partially resume after March 2017 – but only if a series of conditions are met. He made it clear that these transfers will not be retroactive and would only apply to “certain categories of migrants” that enter the EU irregularly after March 15. “Every time a Member State wants to execute a Dublin transfer, they should only do so after they have received assurances from the Greek authorities that that particular applicant will be received in the conditions mandated by European law. 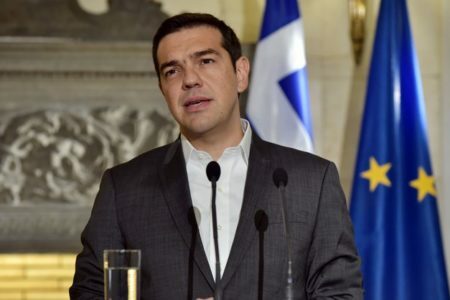 This also means that in each individual transfer case, Greece will be able to specify whether the conditions are still such that Greece is in a position to receive additional applicants,” he said. 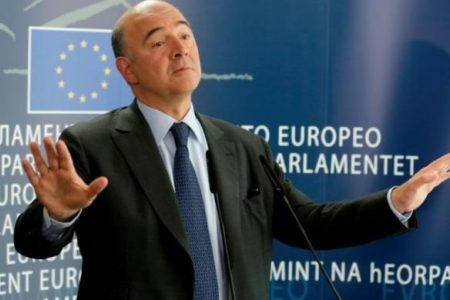 The Commissioner made it clear that the burden should not fall exclusively on Greece: “Neither Greece nor Italy nor any other country in the future should be left alone to bear an unsustainable burden,” he said. That would be irresponsible, Avramopoulos pointed out, given the high migration and asylum pressures on Greece. He predicted that there will only be a very small number of such Dublin transfers, since there was now much tighter control of Greece’s land border with Albania and the Former Yugoslav Republic of Macedonia (FYROM) so there were no “secondary transfers”. Greece had also asked for the deployment of a European border guard, which was now underway, so that migrants will be prevented from travelling irregularly long before March 15, he said. Greece had made significant progress under very difficult conditions to put in place a fully functioning asylum system over the last months, Avramopoulos said, announcing that the European Commission on Thursday closed the infringement procedures against Greece and Italy in relation to Eurodac after both countries achieved a near 100 pct fingerprinting rate for all irregular arrivals. The Commissioner also reported a record number of relocations in November, which increased to 1,406 and brought the overall total to 8,162, of which 6,212 were relocated from Greece and 1,950 from Italy. “For Greece we have reached a stable relocation trend at 1,000 per month, and for Italy, last month, the relocations basically doubled,” Avramopoulos said. In light of these improvements, the European Commission now considers that all eligible applicants in Greece and Italy can be relocated to other member-states by September 2017 but this requires that member-states carry out at least 2,000 relocations from Greece and 1,000 from Italy each month from here on. As of April 2017, the relocation rate must increase to 3,000 a month from Greece and 1,500 from Italy. With regard to resettlement, the Commission said that EU member-states have so far given safe and legal passage to 13,887 persons, as opposed to the agreed number of 22,504 persons under the July 2015 program. Since the last report, a record number of 2,035 individuals from Turkey, Jordan and Lebanon were resettled each month. An additional 544 Syrian refugees have been resettled from Turkey, bringing the total resettlements from Turkey under the EU-Turkey Statement to 2,761, the Commission reported.